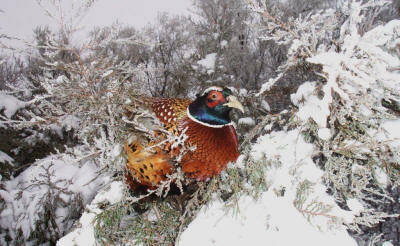 Sharp-tail grouse and Prairie Chickens have also been taken. Heated Clubhouse for your use. Microwave, freezer, and refrigerator available for your use. Indoor kennels for your dogs. Our hunting dogs are available and your well-trained dogs are welcome. Bird Cleaning available for a small fee. We also have a cleaning table for the do-it-yourselfers.